Saturday 1st September marked the conclusion of the 2018 Maver Mega ‘Match This’ event. A gruelling five month qualification campaign, starting on Sunday 1st April and finishing at The Glebe in Leicestershire on Sunday 12th August, produced what many have since hailed as the best big money final ever with twenty four of the UK’s finest match anglers going head-to-head for angling’s richest prize. The 2019 Mega Match This event brings with it some exciting new changes to the competition format that increases your chances of qualifying for a Mega Match This final! In addition to the regular twenty four (24) qualifier events taking place from 31st March – 14th August, for the first time ever, Maver (UK) will be hosting an additional event on the day of the 2019 Mega Match This Grand Final itself. 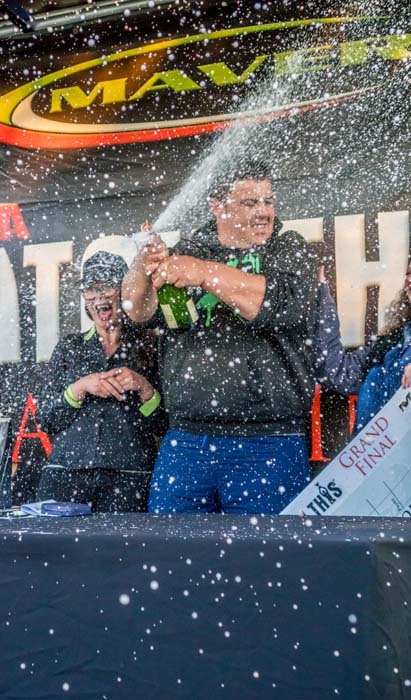 This brand new addition to the 2019 event will be made up of twenty four (24) anglers who have recorded the largest cumulative weight from any five (5) qualifier events during the 2019 campaign. Anglers can opt to fish as many qualifier events as they like with those fortunate enough to qualify for this additional event taking place at Maver Hayfield Lakes on Saturday 31st August 2019 competing for an automatic final qualification place in the 2020 Maver Mega Match This Grand Final! Each angler can enter as many times as he or she likes. It is possible an angler who has only fished one eliminator can make it through to the event, but the more qualifiers fished the better your chances. The 2019 Maver Match This Final will take place on Saturday 31st August and, once again, sees Grand Final host venue, Maver Hayfield Lakes, staging three qualifier events. The ever-popular Midlands bagging mecca that is Mallory Park will, once again, host a total of four qualifier events with historically popular venues including Partridge Lakes, Decoy Lakes and Tunnel Barn Farm hosting repeat qualifiers. The event, which has so far rewarded the likes of Andy Power, Les Thompson, Zac Brown, Chris Cameron, Peter Upperton, Jon Whincup, Rob Wootton and, most recently, David Burley with a combined prize fund worth over £525,000, now embarks on another momentous journey in the hope of rewarding this year’s Champion with an even larger prize. Last year saw local man David Burley (pictured above left) collect the largest prize in UK match angling history by way of a cheque for £60,000! An additional £9,000 was also rewarded on the day between second and third placed anglers, as well as section winners. Demand for tickets is expected to be extremely high. Please note that tickets for 2019’s qualifier events will be available right here on the Maver (UK) website AND over the telephone. If you have any queries, or require assistance when booking tickets, then please telephone on 01527 406 300 Monday to Friday between the hours of 9am and 5pm.